Any designed/created space affects perspective, even if we do not take the time to reflect on it. Find an architect’s building, home, or space that you would like to explore (e.g., Frank Lloyd Wright, Buckminster Fuller’s Geodesic Dome or Dymaxion creations, Frank Gehry). It could even be your own home or school. Find or take some photos to post on your blog. How do you think this architect affects your perspective of space? Take photos of an object from multiple points of view and post these on your blog (e.g., check out Simon and Sun, Pat and Sun, Comparing Perspectives with Film, Glass Beach, Perspective in Photography, Views from Dogs, even Natalia Maks photography). What varies/stays the same in your photos? Is there a point of view that you wanted to capture that you couldn’t? Describe. Reflect on some of the research into dimensions – there are a wealth of examples on the Nikon site about the relationship between light and people, including the fourth dimension. Find something interesting to you and tell us about it. Let’s talk about Flatland, Part I, Sections 3-7. 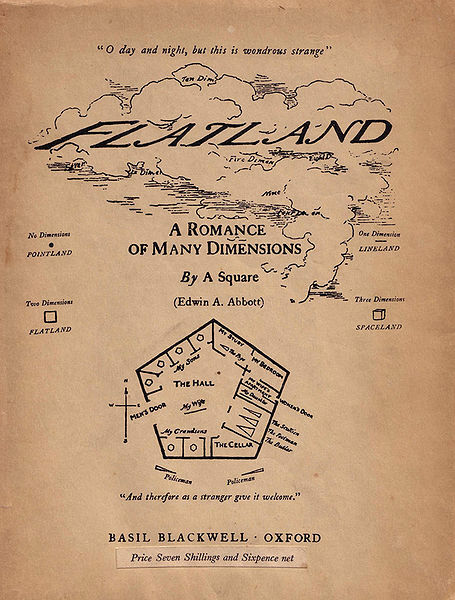 In sections 3-7, the inhabitants of Flatland are described (e.g., women as lines, generational development), lower polygons and methods for “feeling”, sight recognition, and the need to eradicate irregular figures. In your small groups, talk about something that surprised/confused/angered/etc you. After discussing in small groups, pick a spokesperson to share out with the class. Last class we looked at various cases to help us consider the dimensions of space, focusing on dimensional mapping. These included creating models of 4D objects, architectural drawings, and photography – among others. Today, we will look at some other examples, such as games, transitional objects, fractals, and art. How many of you have played a game and considered the perspective of your character – even the type of world you are moving in? Many of the games I first learned to play looked like this. What is the perspective of the player – what about the landscape of the game space? 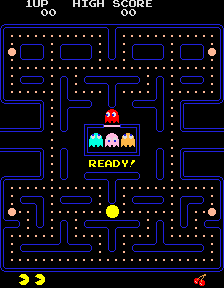 Let’s take a look at some of the “best” video games of all time with these questions in mind. 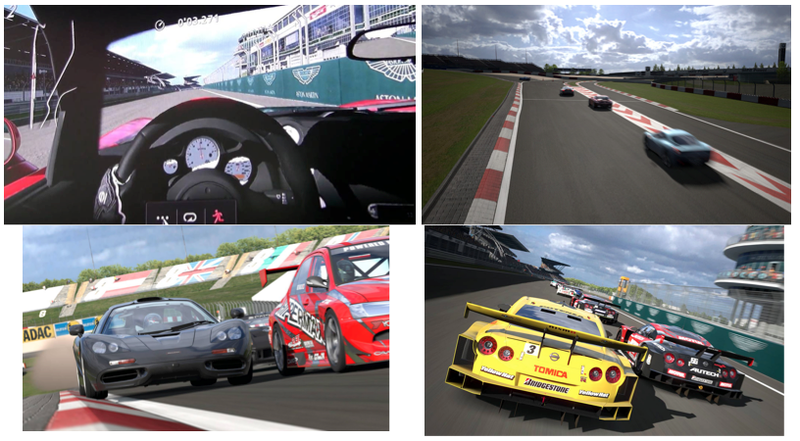 You’re probably more used to seeing games such as Gran Turismo, where you are allowed multiple perspectives. Let’s take a look at some other games that intentionally “mess with” perspective, like Portal, Super Paper Mario, Percepto, and Minecraft. Read Flatland, Part I, Sections 8-12 in the next week. These sections deal with painting in Flatland, the Universal Colour BillChromatic Sedition, and particulars about the priests of Flatland. Next time we come together, I’m going to ask you to take some photos or video. If you have any filters, lenses, or apps (even photoshop) you’ve been wanting to experiment with, this is the time. You may want to even find some velum (clear colored plastic) to make your own filters. 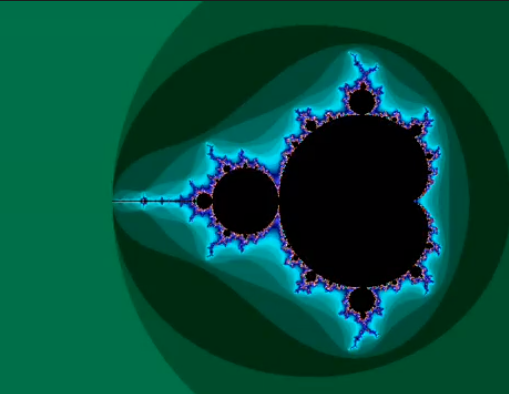 Reflect freely on any of the cases above (video games, patterns such as fractals, or art) – how do these examples alter the way you perceive space? We are not just “taking on” perspective, but also creators of perspective. Create a perspective for someone else using any materials you wish (i.e., photos, models, video, drawing, writing, etc.). Post this on your blog and ask others what they perceive? What do they think is being represented? What surprised or interested you in Merleau-Ponty’s discussion about ‘art’ and perspective? What type of perspective would you possibly create for others if you were to conceptualize a painting or portrait? 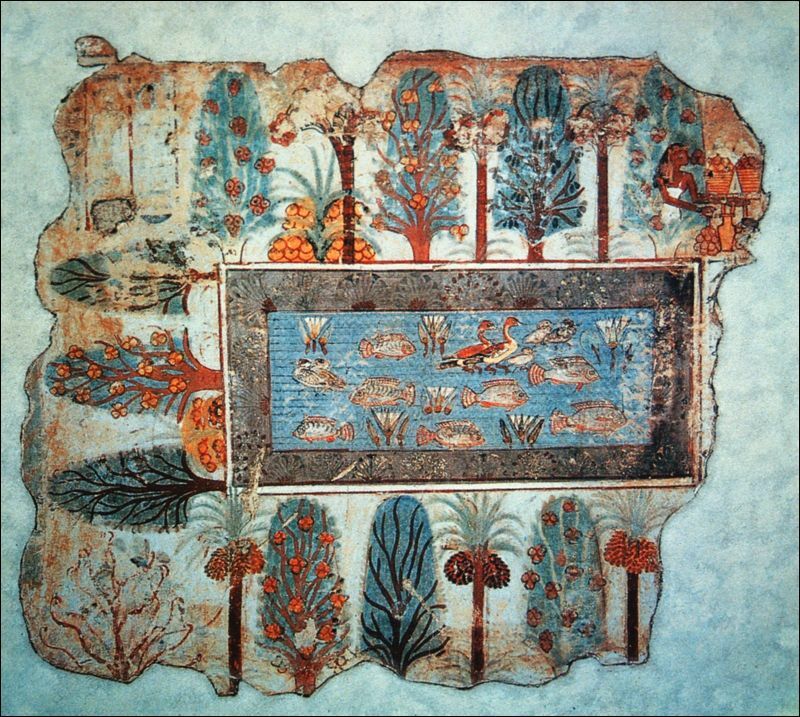 It may help to look back at the following cases: Ancient Egyptian Art, Aboriginal Art, Classical Landscape Paintings or find some of your own.